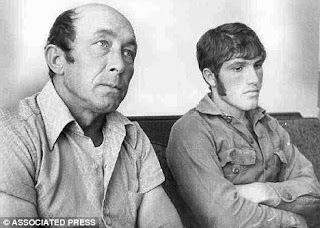 Charles E Hickson Sr (left above), one of two men who reported they were abducted from the banks of Mississippi's Pascagoula River by aliens in 1973, has died at the age of 80. Mr Hickson died on Friday, September 9, 2011, in Ocean Springs, officials with O'Bryant-O'Keefe Funeral Home in Gautier said. He spent nearly 40 years reliving the reported encounter. He also co-wrote a book, UFO Contact at Pascagoula. On October 11, 1973, Mr Hickson and Calvin Parker were fishing on the Pascagoula River. What seemed to be the beginning of a peaceful night turned to chaos when the pair said they suddenly found themselves in a close encounter with an alien craft and its occupants. Mr Hickson, then 42, and Mr Parker, then 19, did not want their account publicised, but a reported leak to the newspaper made publicity inevitable. After reporting their account to the sheriff's office, Mr Hickson and Mr Parker both passed lie detector tests and were even questioned under hypnosis. Investigators are on record saying the pair's story never wavered. Mr Parker, who was last reported living in Louisiana, has declined to discuss the matter. According to Mr Hickson's account, two of the creatures from the ship seized him and another grabbed Mr Parker, who fainted. He said the aliens held them for about 20-30 minutes. Then, Mr Hickson said, within the blink of an eye, it was all over. 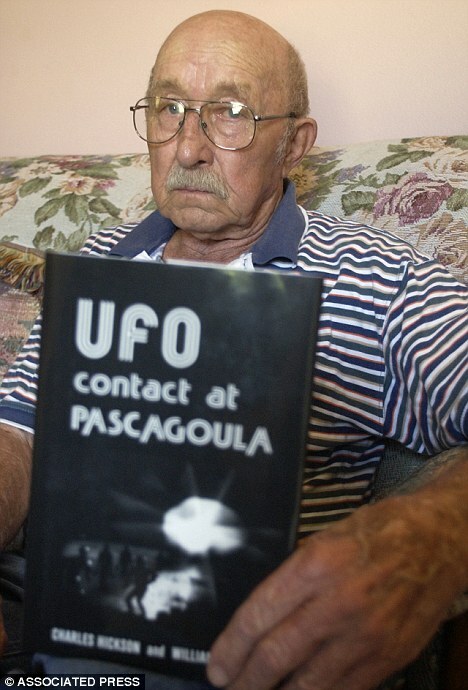 He said the UFO was gone, and the men were left wondering what had happened. A native of Jones County, Mr Hickson served in the Army during the Korean War. He is survived by two sons, three daughters, a brother and a sister; and 10 grandchildren and 15 great-grandchildren. A graveside service will be held on Thursday at 1pm at McGill Cemetery in Sandersville. Pascagoula is a major industrial city of Mississippi, along the Gulf Coast. Prior to World War II, the town was a sleepy fishing village of only about 5,000. The population exploded with the war-driven shipbuilding industry. Although the city's population seemed to peak in the late 1970s and early 1980s as Cold War defense spending was at its height, Pascagoula experienced some new growth and development in the years beforeHurricane Katrina. Today, Pascagoula is home to the state’s largest employer, Ingalls Shipbuilding, owned by Northrop Grumman Ship Systems. Other major industries include one of the largest Chevron refineries in the country; Signal International, an oil platform builder; and Mississippi Phosphates. Preliminary: Witnesses were fishing after dark off a pier in an abandoned shipyard. Heard or happened to turn and detect something behind them. Initial activities: Beings floated toward them from a hovering craft, grabbed Hickson by his arms causing pain in left shoulder and immobilizing him. Another being grabbed Parker by the arm and he lost consciousness. Hickson recalled being lifted off the ground and floated with the beings into the craft. He saw Parker go limp. Charles Hickson and Calvin Parker described it.Craft/Beings: Domed oval object descended, hovered just off the ground emitting a buzzing noise. A door opened revealing a brightly lighted interior. Three robot-like beings just over 5 ft. (1.5 m) tall emerged and floated toward them. They had no visible neck, slit mouth, pointed nose, and ears. Eyes not prominent, maybe slits. Rough gray skin, mummy-like appearance. Unusually long arms with clawlike hands. Feet were elephant-like. Onboard features: Interior was brilliantly lighted. No furniture seen, only a screenlike device on the wall. Hickson seemed to hang suspended in the air at an angle of 45 degrees as an eyelike device appeared out of the wall. lead him into the examination room of their craft.Onboard activities: The device circled Hickson, first moving down his front, then up his back and over his head, stopping in front of his face. The beings moved in a stiff, mechanical way as if robots, but worked quickly and efficiently. One made a buzzing sound. When they were through they disappeared for a while. Communication: Hickson "heard" a message in his mind that the beings were peaceful. Aftermath: Next day Hickson suffered bleeding from his left arm where the being had grasped him, and later he had nightmares. Parker suffered a nervous breakdown, Over the past 20 years Hickson has had an obsession about the encounter and its meaning, leading him to attend UFO conferences as a speaker and observer. He has reported follow-up communications and encounters. Source: Volume II, The UFO Evidence, A Thirty Year Report, Richard H. Hall, Page 534-535. Source: NICAP. According to Van Buren Police a lone shooter entered the Crawford County Courthouse in Van Buren, Arkansas, around 4:00 pm. 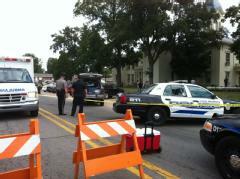 Police say the suspect then shot a secretary who witnesses have identified as Vicki Jones. The shooter was shot and injured by Van Buren Police. Both have been transported to the hospital for their injuries. A Van Buren police officer was also injured by flying glass as police exchanged gunfire with the shooter. Van Buren Police are currently not releasing the name of the suspect. Lt. Brent Grill with the Van Buren Police Department said police were called to a disturbance at the courthouse, and one person was possibly shot inside. A gun battle involving the suspect, VBPD and the Crawford County Sheriff’s Department then ensued outside the courthouse, Grill said. Sebastian County deputies are at a local hospital guarding the suspect, who is undergoing surgery, Sebastian County Sheriff Bill Hollenbeck said. Elaine Stanfield, administrative assistant to County Judge John Hall, said she first heard the shots at 3:30 p.m. The suspect shot off multiple rounds while moving, Grill said, striking a nearby Van Buren police cruiser. Veteran Van Buren police officer Dave Passen received minor injuries from glass, Grill said. Stanfield says she saw the suspect, a “heavyset man between 35-40 years of age” who was wearing a long duster style coat. Stanfield was still on the phone with 911 and heard a dispatcher say “our guys are being fired at,” then heard the shooting stop. “This has changed our lives,” Stanfield said. Fort Smith police Capt. Jarrard Copeland said a call about the shooting came through dispatch at 3:44 p.m.; 20 to 30 officers from Fort Smith were dispatched to the scene. Hollenbeck said security at courthouses in Fort Smith and Greenwood has been increased as a precautionary measure until law enforcement officials can confirm no one else is involved in the courthouse shooting in Crawford County. County Judge John Hall says the courthouse will be closed Wednesday but will try to open Thursday morning. 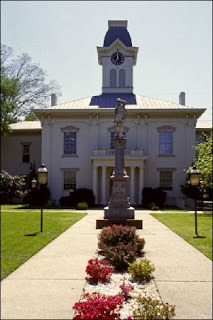 Crawford County is a county located in the U.S. state of Arkansas. It is part of the Fort Smith, Arkansas Metropolitan Statistical Area. As of the 2010 census, the population was 61,948. The county seat is Van Buren. Crawford County was formed on October 18, 1820, and named for William H. Crawford who was United States Secretary of War in 1815. The area was settled by David Boyd and Thomas Martin in the year 1818. After Arkansas became a territory in 1819 Daniel and Thomas Phillips constructed a lumber yard in the community to serve as a fuel depot for river traffic. In the year 1831 a post office was constructed for the community, at the time known as Phillips Landing. This post office was named after the newly appointed Secretary of State, Martin Van Buren. The city of Van Buren is a result of that legacy. The International House of Pancake (IHOP) site in Carson City, Nevada, where a mass shooting occurred on September 6, 2011. Photo: KOLO-ABC News. 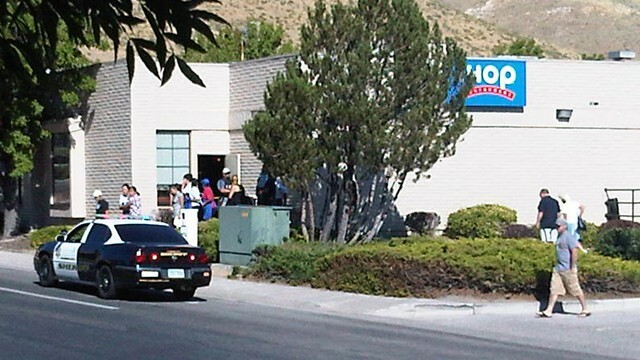 This is another view of the same IHOP restaurant in Carson City, Nevada, where multiple people were shot. Photo: Reno Journal Gazette. With bullet holes seen in a window, officers look for evidence at the scene of a shooting at an IHOP restaurant in Carson City, Nevada. Photo: Cathleen Allison. Three people are dead after a gunman opened fire at a Nevada IHOP restaurant Tuesday morning, wounding himself and nine other people. The shooting happened at about 9 a.m. local time at the Carson City restaurant, located in a strip mall on the state capital's main street. At least two of the three people killed were National Guardsmen in uniform. A third National Guard member, an as yet unidentified woman, has died from injuries suffered in a shooting rampage that took place at a Nevada IHOP restaurant, according to the Carson City, Nevada sheriff. The shooting spree has now left five people dead, including the shooter, and left seven wounded. It wasn't immediately clear whether the gunman had any connection with the military or the guard, said Nevada National Guard Sgt. Mike Getten. He said guard members were meeting at the restaurant. Witnesses said a man pulled up in a blue minivan around 9 a.m. at the IHOP restaurant in a strip mall on Carson City's main street. He shot a man on a motorcycle, then walked inside the restaurant and started shooting, said Ralph Swagler, owner of Locals Barbecue in the same strip mall as the IHOP. Swagler told the Reno Journal Gazette that after several minutes, the man walked outside and began firing into the Locals Barbecue and an H&R Block in the strip mall. Law enforcement officers responded but fired no shots during the ordeal. One victim died at a hospital in Carson City. Seven additional victims are now being treated at area hospitals, authorities said. A man with an AK-47 assault rifle shot an entire group of five uniformed National Guard members eating breakfast at a Nevada IHOP, killing two of them and a woman nearby in a hail of gunfire. The suspect, 32-year-old Eduardo Sencion of Carson City, also shot himself and later died at a hospital. Local and state police and FBI agents descended on the scene on South Carson Street, also called U.S. 395. Yellow tape surrounded the parking lot near a Kohl's department store in a shopping complex across the street from a casino and hotel. The area formerly known as Eagle Valley was "discovered" by John C. Fremont (who would later be a presidential candidate of the Radical Republicans in 1864) and his exploration party in January 1843. Fremont named the river flowing through the valley Carson River in honor of Christopher "Kit" Carson, the mountain man and scout he had hired for his expedition. Carson City is the capital of Nevada and it is the source of a long history. For example, Carson Lodge # 1 has the distinction of being the first Freemason's lodge in the State of Nevada. Its first records date back to early 1862 (when Nevada was still a Territory). Samuel Clemens (Mark Twain) visited this Lodge during the time when he was in Carson City. IHOPs have been the site of previous shootings. Our hearts ache for all the victims of this senseless act of violence. I am in Carson City and am grateful to the public safety officials and first responders here. They could not be kinder or more professional. The people of Carson City have also shown incredible support for the victims and IHOP’s team members. I am grateful tp all and to the IHOP team members for their tremendous resolve during this tragedy. Thank you. 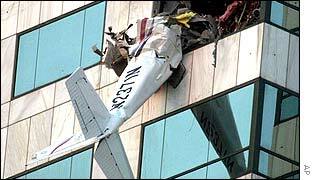 9/11/11: Small Planes Into Buildings? 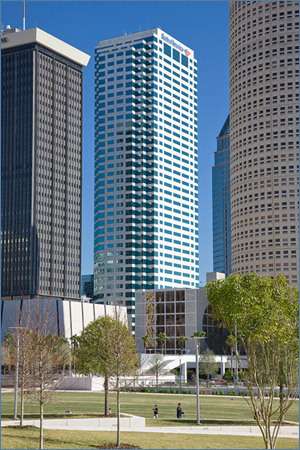 Bank of America, Tampa, Florida, 2002. Sam Vaknin, Ph.D., in the Global Politician on September 26, 2005, wrote, "the September atrocities [of 9/11] provoked a wave of copycats and renewed awareness of such risks." 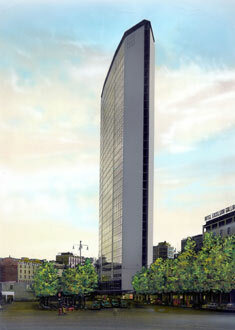 Pirelli Tower, Milan, Italy, 2002. 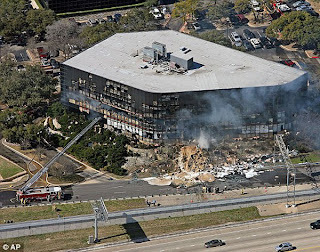 Mentioning the January 2002-Tampa and April 2002-Milan incidents I wrote about in my "Planes into Buildings" chapter of The Copycat Effect (2004), Vaknin also cited another one: "At the beginning of May 2002, an Indian air force jet crashed into a bank building in northwestern India. 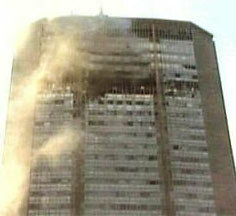 Eight died in the ensuing fire." It all began with the 9/11 attack on the Twin Towers. World Trade Center Complex; image of replica by InFocusTech (10% of sales to the American Red Cross). 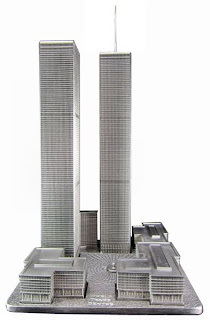 Could a copycat event occur at the world's other twin towers in the future? Petronas Towers are located in Kuala Lumpur, Malaysia. Image of replica by InFocusTech. Were you aware there have been other possible and actual small-planes-into-buildings copycat events in the last decade? On Monday, September 12, 2005, a father in a "too large for the detectors" wheelchair dodged a checkpoint and smuggled grenades onto a plane. The father and son hijackers surrendered five hours after commandeering an Aires airliner around midday on that Monday after it departed from the southern city of Florencia on a flight headed to Colombia's capital, Bogota. All passengers and crew were eventually freed unharmed before the hijackers, 42-year-old Porfirio Ramirez and his 22-year-old son, Linsen Ramirez, gave up and were arrested. As to Porfirio Ramirez, one realizes that he had his own motives and reasons, but the copycat factor comes into play regarding the whole theme of my posting - he picked the day after a September 11th. I don't consider hijackers heroes, no matter their reasons or how many movies are made of them. On the morning of Tuesday, September 13, 2005, Adane Bayu Arage, an Israeli youth attempted to get a disassembled gun and 22 bullets, hidden inside a tool, onto a plane. He allegedly planned to hijack a passenger plane, Ethiopian Airlines Flight Number 424, in the capital of Addis Ababa, Ethiopia. The youth was born in Ethiopia and later immigrated to Israel. The Israeli Foreign Ministry questioned whether the suspect was Israeli. 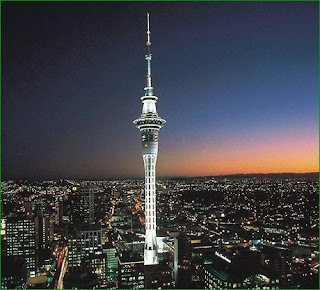 On Saturday, September 17, 2005, a man hijacked a plane in "New Zealand’s commercial capital and biggest city," in direct copycat of 9/11, which occurred in America's commerical, financial, and media "capital," New York City. The N.Z. 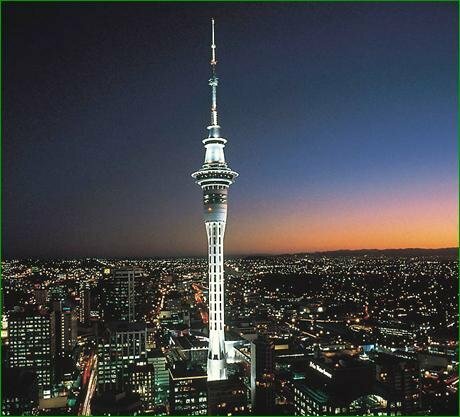 hijacker said he was going to fly it into Auckland's tallest building, the Sky Tower (shown directly above). Instead, he crashed the plane into the sea on that Saturday night and was rescued and taken to a hospital. Not coincidentally, September 17th is New Zealand's General Election Day. The leaders of the parties were awaiting the election results in Auckland, not in N.Z. 's capital city, Wellington. On January 5, 2002, Charles Bishara Bishop, 15, crashed a plane into Tampa's Bank of America Building (above and at top), in a copycat of the 9/11 attacks. Bishop died by suicide during that event. It can be done. A sixteen-year-old boy was arrested by FBI agents for plotting to hijack a plane as part of his own bizarre suicide bid, as reported on January 25, 2008. FBI spokesman George Bolds said the teenager was removed Tuesday night (January 22, 2008) from Southwest Airlines Flight 284 by authorities at Nashville International Airport and found with "suspicious" items (handcuffs, rope and duct tape in his bag). The juvenile was alone and suicidal. He remains unidentified. 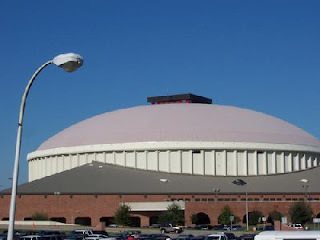 The airliner reportedly was suppose to be crashed into the "Hannah Montana" concert performing on Friday, January 25, 2008, in Lafayette, Louisiana, at the Lafayette Cajundome (above). 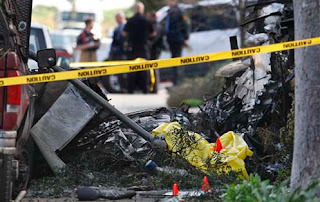 On February 17, 2010, in Palo Alto, California, a twin-engine Cessna 310 crashed in a residential neighborhood (above), killing three employees of electric-car maker Tesla Motors (logo, below) who were aboard the plane. The accident caused a major power outage in Palo Alto, including at the office of Facebook, but no one was injured on the ground. 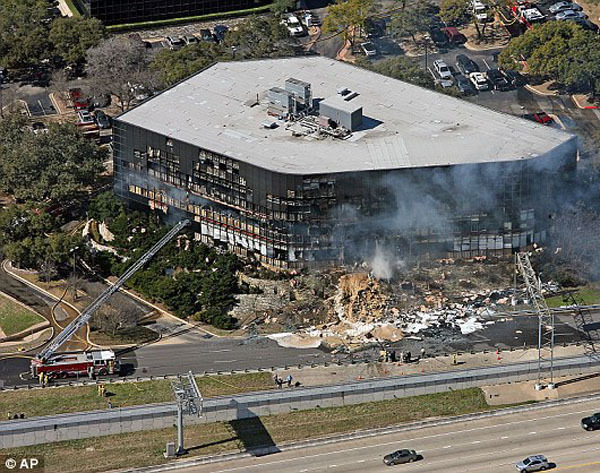 On February 18, 2010, Joseph Andrew Stack, flying a Piper Cherokee PA-28 (registration N2889D) plane, crashed into Building I of the Echelon office complex (above) in Austin, Texas, United States. An Internal Revenue Service (IRS) field office is located in the seven-story office building along with other state and federal government agencies. Stack had posted a manifesto dated February 18, 2010, to his business website. 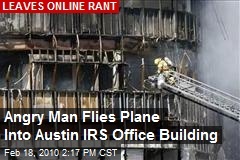 The pilot was killed in the incident along with Vernon Hunter, a 67-year-old Revenue Office Manager for the IRS. Thirteen people were reported as injured, two of them critically. Debris from the crash reportedly struck a Lexus sedan being driven on the southbound access road of U.S. Route 183 in front of the building and shattering the windshield. Another driver on the southbound access road of U.S. Route 183 had his windows and sunroof shattered during the impact and had debris fall inside his car yet escaped uninjured. What should you look out for on the 10th anniversary of 9/11? 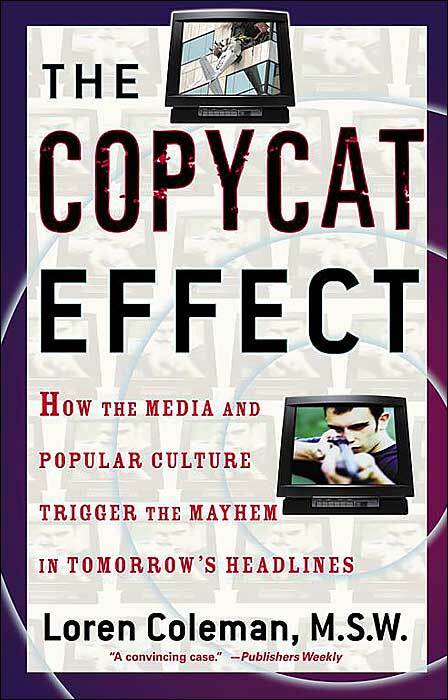 Will there be more copycats? According to a five-page law enforcement bulletin issued on September 2, 2011, as recently as early this year, al-Qaida was considering ways to attack airplanes. "We shared this information with our partners to highlight the need for continued awareness and vigilance," he said. And, of course, there were all the very real incidents above, as well.